Croatia stretches from the edge of the Alps on the northwest to the Pannonian Plain and the Danube River on the north and northeast. The central part of Croatia belongs to the Dinara Mountain chain, while its south and southeast part belongs to a long and magnificent Adriatic costal area. The Croatian currency is kuna and one kuna equals 100 lipas. Croatia boasts a newly-constructed system of motorways which connect the capital Zagreb with other important parts of Croatia, to wit, with Osijek in the east, Split and Dubrovnik in the south and Rijeka and Pula in the west. 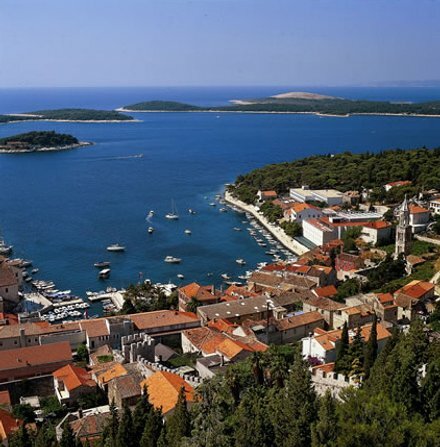 One of the more significant sources of income in Croatia is tourism which is enabled by the out-of-dreams scenery of the Adriatic coast that makes Croats very proud. The coast is very long and picturesque where everyone can find something to their liking and the inland of Croatia is no less beautiful and interesting (the mouth and the waterfalls of the Krka river, the Plitvice Lakes), which makes Croatia the country many include in the itinerary of their next holidays.